It’s important to understand that as your agent, I can show you and sell you any home listed with any firm or agent. In some instances, we can help you with homes that are listed by owner without the benefit of a listing agent. I want to make sure that you get the agency representation you deserve. Almost everyone these days is looking at houses online before they contact us to get serious about buying. In our experience the best website and app to use is Realtor.com. We Realtors have a direct feed to Realtor.com through our local Multiple Listing Service (MLS). Zillow and Trulia have a lot to offer as well, but Realtor.com at the end of the day generally has more current information. Almost everyone these days is looking at houses online before they contact us to get serious about buying. I also urge my clients to go to open houses. Sometimes buyers are reluctant to go to open houses because they do not want to deal with the sales person hosting the event. While some Realtors are more ‘aggressive’ than others I tell my buyers to let the agent hosting the open house know they are working with me and that usually brings down the intensity. A big part of our initial buyer meeting is logging onto the MLS together, and then entering the criteria you want in a home. · First, we will set up search in the area or areas you want to live in. · Second, we will enter the price range you want to buy in. · Third, we add the amenities you would like to have. · And finally, we will enter the type of financing you are qualified for to make sure any houses we find are suitable for your mortgage. This way we are able to focus on homes which are available for your financing situation. …any time a home is listed that meets your criteria — you and your agent will both get an email as soon as it hits the market. Once we set up the search, we ‘save’ it. This way, any time a home is listed that meets your criteria, regardless of what firm or agent lists it, you and I will both get an email as soon as it hits the market. In a ‘hot’ market it is important to get the information on a new listing as soon as possible. Ready To Get To The Fun Part? Check us out at www.BuyWithROOST.com and request a FREE buyer consultation today with the ROOST Real Estate Co. agent of your choice. You can also get a head start by downloading our Buy With ROOST™ brochure here. 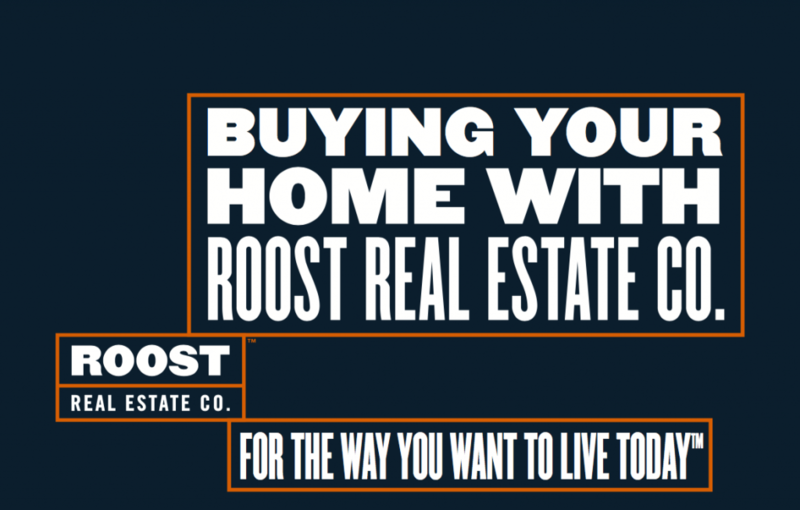 ROOST Real Estate Co. Buying with ROOST – Download your buying guide here!